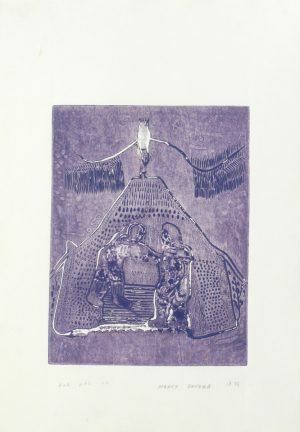 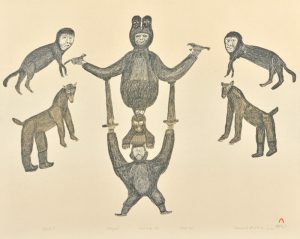 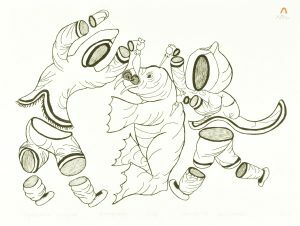 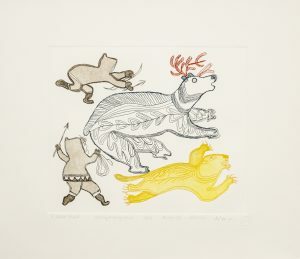 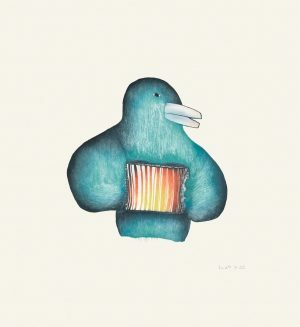 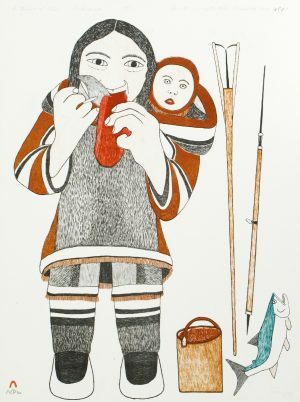 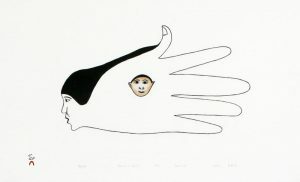 Our inventory of prints for sale ranges from the earliest days of printmaking and from each of the print-producing areas, including Cape Dorset, Puvirnituq and Inukjuak, Holman Island, Baker Lake and Pangnirtung. 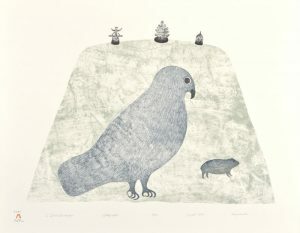 Many of the early prints to buy have come to the gallery through estates and private collections. 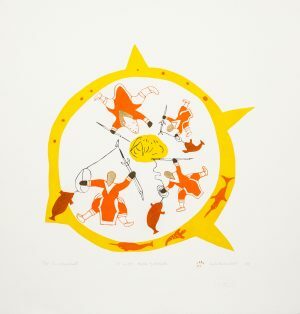 New annual collections are added yearly to our catalogue of available prints. 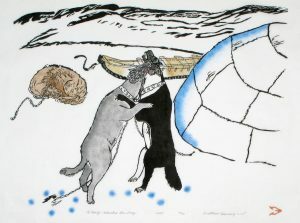 If you are looking for a particular print which we do not currently have, please feel free to contact us. 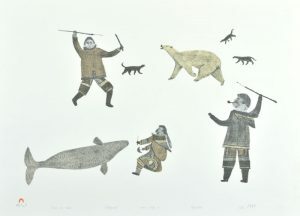 We will add your name to our ‘Wish List’ and contact you when we locate the print.